When you are ready for your next outdoor adventure, choose this 411 Road Warrior toy hauler fifth wheel by Heartland RV. 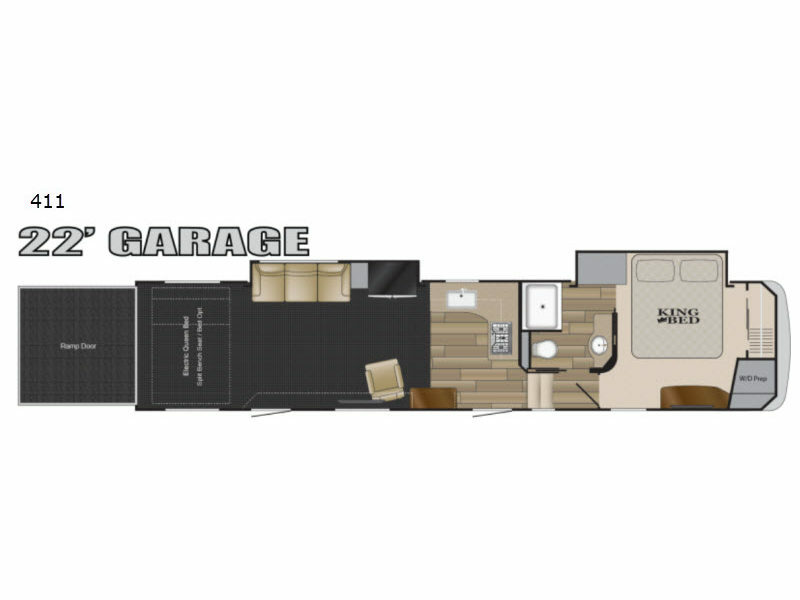 This model features a 22’ garage for all of your off-road toys, double slide outs, and a comfortable front bedroom with a king bed. 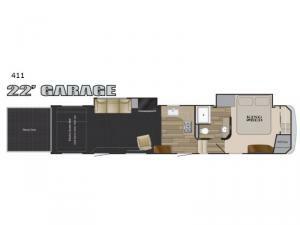 In the garage area there is plenty of seating with the split bench seat, sofa, and lounge chair. Since there are two entry doors you can easily slip out in the early morning without waking any of your sleeping campers! Whether you are taking your off-road toys to the sand dunes or to a competition, you will want a luxury Road Warrior toy hauler! These models are available with the Road Warrior Suite Package which includes items such as hardwood cabinet doors and drawers, solid surface counter tops, LED lighting, plus an exterior stereo with HDMI and two speakers. The Ultimate Warrior Package has a heated and enclosed underbelly, a universal docking station, a rear garage screen, plus a painted fiberglass front cap and more!